Last year, when floods hit Kerala, it led to heavy damages and loss of lives. For many students, it also led to loss of their precious documents. In this environment of despair, there was a welcome announcement. As a special gesture to students from CBSE affiliated schools, whose board exam academic documents such as marksheets, migration certificates, pass certificates were lost or damaged in the Kerala floods, the Central Board of Secondary Education (CBSE) decided to facilitate and provide digital mark sheets, migration certificates and pass certificates, made possible due to the integration with DigiLocker. With over 1,300 schools are affiliated to the CBSE in Kerala, this was a significant step as board exam academic documents are crucial for admission for higher studies and employment. This announcement also showed India the importance of electronic storing and validation of documents. 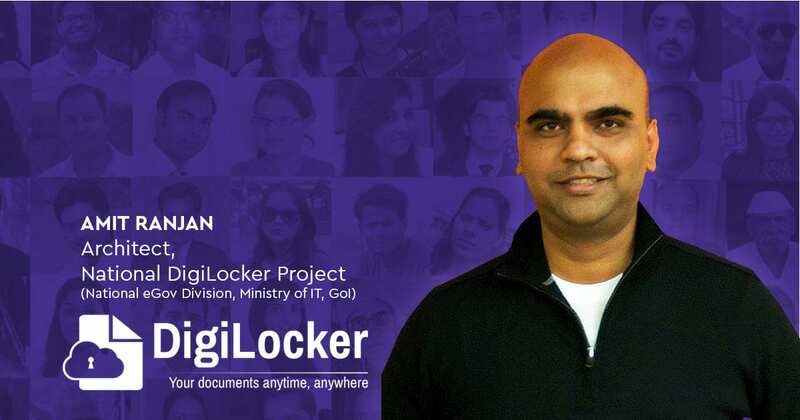 Targeted at the idea of paperless governance, DigiLocker was created as an electronic platform for issuance and verification of documents and certificates in a digital way, thus eliminating the use of physical documents. 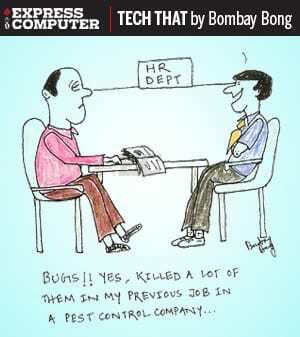 Organisations that are registered with Digital Locker can push electronic copies of documents and certificates (e.g. driving license, Voter ID, School certificates) directly into citizens lockers. Citizens can also upload scanned copies of their legacy documents in their accounts. These legacy documents can be electronically signed using the eSign facility. As the CTO / key architect of DigiLocker, what are some of the key aspects that you have kept in mind while designing the platform for scalability? 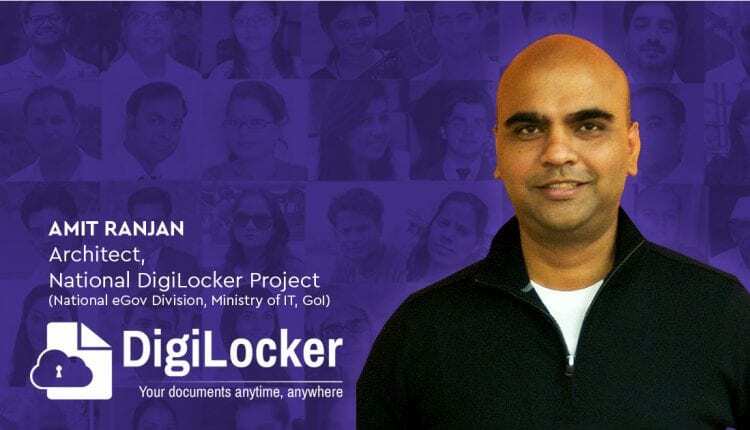 DigiLocker is a key Digital India initiative for paperless governance and its goal is to create a nationwide federated document exchange network operating across the public and private space. Accordingly, scalability has been one of the key design principles for the project right from the inception stage. The selection of technology and architecture was made in a way that would allow the platform to scale vertically and horizontally. The platform uses concepts like Open APIs, microservices based architecture, cloud storage, caching etc. to achieve this goal. The partners which integrate with DigiLocker as “Issuers” host their data (or documents) individually on their own servers, without any centralised aggregation, thus reducing the risks that may be associated with a single point of failure. The project was divided into phases with realistic targets. The phases provided concrete goals in terms of key metrics like anticipated number of users of the platform, file storage parameters, database performance etc. Additionally, the infrastructure is constantly monitored, adjusted and fine-tuned with every major release. Scaling an application isn’t a one-time activity, but a dynamic, continuing process that needs constant changes and iterations in architecture and solutions used. The technology and product teams running DigiLocker are in a constantly learning mode to face the unique challenges that come up with every stage of the fast-growing platform’s evolution. How important is open source to the overall development and design of DigiLocker? DigiLocker runs almost exclusively on open source technologies. 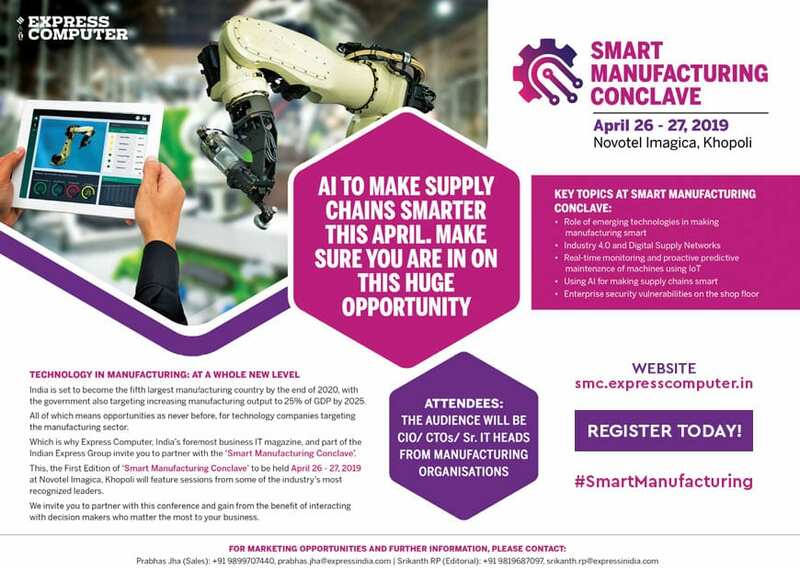 This is in line with (MeitY) Ministry of Electronics & IT’s policy of encouraging open source with a view to promote reuse, reduce cost, invoke community participation and allow peer review. Open source promotes innovation by giving the freedom to try, test and scale your solution, one step at a time. An additional advantage of using open source over proprietary solutions in a government set-up, is reduced time cycles due to absence of RFPs, tendering etc. DigiLocker is based on open source programming languages like PHP, Python and Node.js. On the server front, it uses Apache, Nginx, MemCache, databases like MongoDB & MariaDB, file systems like GlusterFS etc. The DigiLocker user application (DigiLocker portal) is based on an open source application called OwnCloud. OwnCloud is a very popular solution globally for building open sourced, cloud based, document management systems. DigiLocker with over 15 million users, is the world’s largest OwnCloud installation. The DigiLocker team is in constant touch with OwnCloud’s open source developer community for feedback and constant iterative learning. In your view, what are some of the major areas/functions on which DigiLocker has made a major impact in the country? Can you cite some examples? DigiLocker’s impact can be gauged from the fact that it has digitised 294 crore citizen documents and made it available on a user-friendly cloud application that be accessed across web and mobile devices. 64 issuers comprising government and private organizations have been integrated with DigiLocker; prominent amongst them are UIDAI (for eAadhaar), Ministry of Transport (for digital driving licenses & vehicle registrations), Income Tax Department (for PAN verification records), Ministry of Petroleum (for LPG subscription vouchers), CBSE (for Std X & XII marksheets and certificates), NSDC (for skill certificates), eDistrict applications of 13 state governments, secondary education boards of 12 states (for school marksheets and certificates) etc. Citizens have started using DigiLocker in ways that make their lives simpler and paperless. * After the recent Kerala floods, where over a million state residents have lost their identity documents, the state government is working with DigiLocker for reissuing of digital documents directly into citizens’ DigiLocker accounts to safeguard against a natural calamity occurring again. So overall one can say that DigiLocker’s usage is growing, though a lot more needs to be done. DigiLocker’s vision falls under the ambit of the Digital India mission to transform India into a digitally empowered society and knowledge economy. The goal of the project is to provide to all Indian citizensa digital platform for paperless services, that they can use in their daily lives. In many ways, the project is “competing with paper” through the use of innovative technology. The entire ecosystem of paper – from its creation, to printing, to storing, transferring and verifying it is slow, inconvenient, wasteful, corruption inducing, besides being unfriendly to the environment. We think DigiLocker can be a transformative game-changer here and make the lives of Indian citizens simpler and more convenient than before. It will also lead to reduced bureaucracy, result in massive cost savings and usher in a new era of technology enabled governance.